The facile answer to “Why Guatemala?” is, of course, foreign aid. Read my post, Embassies in Jerusalem: Why Guatemala? Say what? Argentina’s pro-business President Mauricio Macri is inviting low-cost airlines to invest in Argentina’s uncompetitive air-travel market, as long as they do something they do nowhere else: keep their prices high. Germany and Switzerland to help build coast-to-coast railway in South America. Bolivian President Evo Morales visited Switzerland to sign an agreement to construct a railway line across the continent from the Atlantic to the Pacific. Supporters say the project will boost trade and create jobs. PPK pardoned Fujimori; now Police in Peru have fired tear gas and clashed with thousands of protesters angry at the authorities’ decision to pardon ex-President Alberto Fujimori. Guatemala and Israel have a long history of political, economic and military ties. The Central American country is also a major recipient of US aid – something which Donald Trump threatened to cut to states that voted in favour of the UN resolution. But the bigger favor is the one he’s done for Central America, particularly the “northern triangle” states of Guatemala, El Salvador, and Honduras. Those nations, plus Mexico, in varying degrees, are in a demographic death spiral, losing too many people in prime working years they cannot afford to lose. Their window of development is getting narrow, a UCLA professor of economics explained to me. The statistics here show that by 2025, the fertility rate will be just 2.08% for the region as a whole, which is at or below replacement rate. 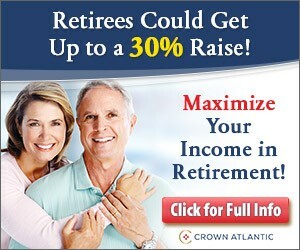 The years following will be below replacement rate. Immigration, which primarily involves young people in their prime working years, has been a disaster for those countries, as has been their government’s dependence on remittances. There is not just a negative effect of dollars coming in to displace local productivity; there is also a social cost as families are broken up by migration. In fact, the IMF has pointed out that remittances tend to keep a country artificially underdeveloped. The money itself tends to benefit government cronies and make corruption less costly. So let’s not kid ourselves as to what has happened. Trump’s statements and tweets have spared Americans billions in costs associated with illegal immigrants. But they have spared Central Americans the near fatal cost of unchecked emigration. Just the other day I posted on how Mexico is spending US$50million on legal aid for immigrants to fight deportation in the U.S., since the country makes more money from Mexicans who leave the country than from those who stay. Plus immigration is a useful pressure valve for the discontent. Dutch abortionists NGO Women of Waves, who bill themselves as an “Organization using a Dutch ship to provide abortion services in countries where this is difficult or illegal,” were expelled from Guatemala after a three day stay. said they [Women of Waves] had lied when they applied for tourist visas and would not be allowed to work in Guatemala. The Dutch group, Women on Waves, offers free abortion services to women in countries where the procedure is banned. It takes women in the early stages of pregnancy out to international waters, where the abortion is performed. Abortion is only allowed in Guatemala when the mother’s life is at risk. A spokeswoman for Women on Waves confirmed that they had been told to leave the country immediately, but she said its lawyers had appealed against the decision. A military vessel escorted the WOW vessel to international waters. Guatemalan political activist Gloria Alvarez! Talking about socialism, capitalism, immigration, and more! The U.S. Border Patrol apprehended 47,214 migrants along the southwest U.S. border in November, an increase of 44% compared with November 2015. 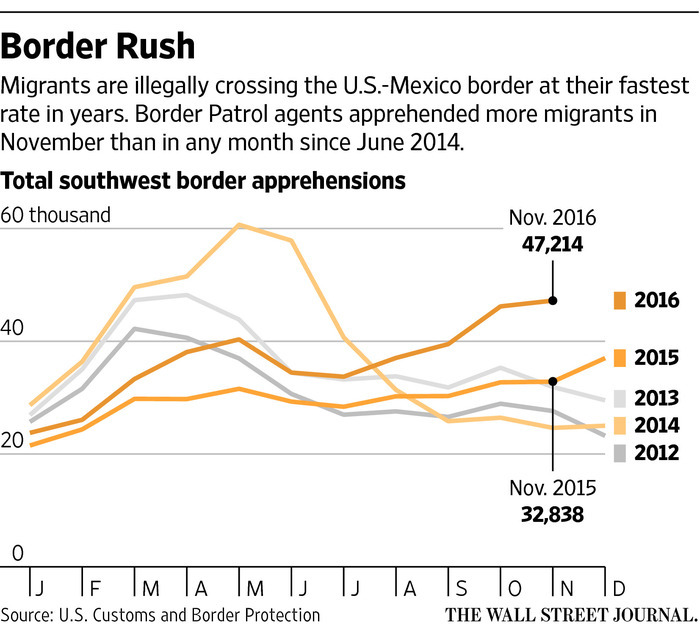 It was the Border Patrol’s busiest month since June of 2014, when illegal entries from Central America were cresting. Over the past six months, Border Patrol agents have caught nearly 240,000 migrants, an average of more than 1,300 a day—30% more than the same period a year earlier.